Panama la Vieja or Panama Viejo (“Old Panama”) is the remaining part of the old Panama City that was destroyed by pirates in the 17th century. Panama Viejo is located in the suburbs of the present-day Panama City. Together with Casco Viejo, the historic district of Panama City, it has been listed as a UNESCO World Heritage Site since 1997. The settlement of Panama was founded in August 15, 1591 by Spanish conquistador Pedro Arias de Avila, also known as Pedrarias Davila. It was the first permanent European settlement on the Pacific Ocean. Two years later, Charles V of Spain promoted the settlement to the city status and gave it a coat of arms by a royal decree. Very soon Panama became a starting point for expeditions in Peru, as well as an important base where silver and gold were sent from Peru to the Old World. No wonder that Panama was an attractive target for pirates and indigenous people with a desire for easy gain. In 1671, the city was attacked by Welsh pirate Henry Morgan and his men. He ransacked the city and burnt it to the ground. The surviving inhabitants rebuilt Panama on a new site where the present-day Panama City is located. 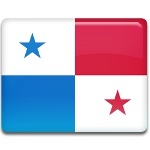 The anniversary of the day when the original settlement was founded, August 15, is celebrated in Panama City as Panama La Vieja Day.